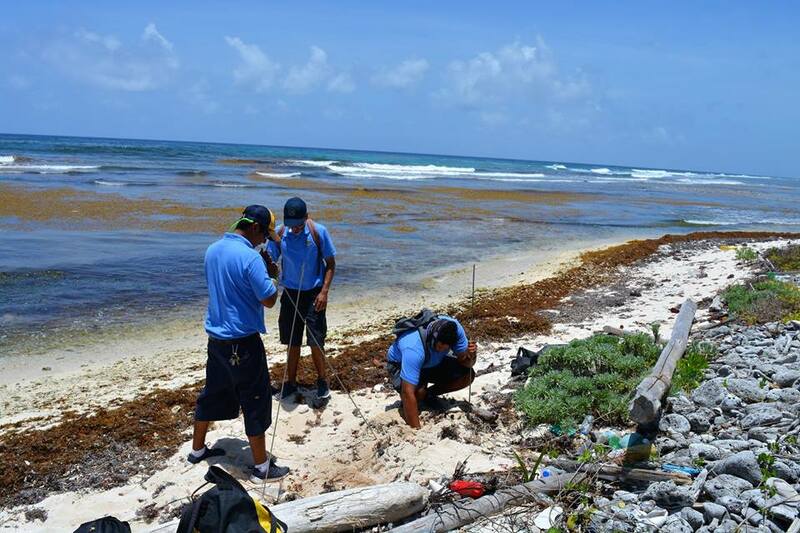 The 2018 sea turtle nesting season has commenced, and personnel from the Hol Chan Marine Reserve have been monitoring the first two nests found in northern Ambergris Caye. Despite this early spotting, marine biologists at Hol Chan are uncertain about the success of the season this year, due to the fact that improper garbage disposal and new construction/ development continue to threaten the future of the nesting grounds. They ask the general public visiting the beaches north of San Pedro Town to be extra cautious and to not interfere with any potential turtle nests. Forman warns that if development is not done in a sustainable manner, the turtles may eventually stop coming to nest on Ambergris Caye. “We are not saying no to development, however, it needs to be done in a way that it will not discourage the turtles from coming to our shores every year,” said Forman. “If there is too much activity and the nesting grounds are disturbed, the turtles will look for other places to lay their eggs.” Some of the factors that continue to impede the migration of turtles are the excessive of lights at some beach properties and the constant building of seawalls, which makes it impossible for these turtles to reach the beaches to nest. The staff at Hol Chan also asks residents who may visit some of the beaches north of town, especially on weekends, to be mindful that sea turtles are using those beaches as well. 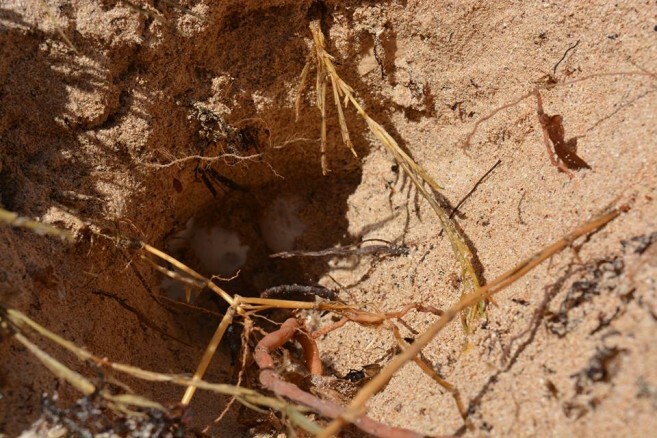 All visitors to these areas for the next six months are asked to not drive over nests, not to tamper with them and to kindly clean up their garbage after recreation on the beach. Turtles do not like to nest in areas polluted by garbage as it may not be suitable for their offspring. The public is also asked that when visiting at night, to turn off any bright lights due to the fact that hatching turtles tend to orient themselves with light as they make their way to the sea. The general public is reminded that the turtles nesting on Ambergris Caye northern shores (the Loggerhead, the Green turtle, and the Hawksbill), are not only synonymous to the island, but they are an endangered species and are protected in Belize. Since 1993, Belizeans have been reminded that it is illegal to disturb, poach or possess sea turtles, or their nests. A person could face criminal charges if caught having turtle products, including the carapace and eggs. The selling or trafficking of any sea turtle can constitute an infraction that can result in a fine of up to $1,000 and up to one year’s imprisonment. Everyone is encouraged to practice caution when traveling the beach, as well as to report stranded hatchlings, suspected turtle nests or turtle crawls along the beach to the Hol Chan Marine Reserve Office at 226-2247.